Along with the cute, "little pumpkin" orange-scented candle is the hand-made bowl. It's made with white clay and a special mixture of glaze and molten glass that captures the essence of some of the rare ancient sea glass we find during our walks on the shores of the Mediterranean. 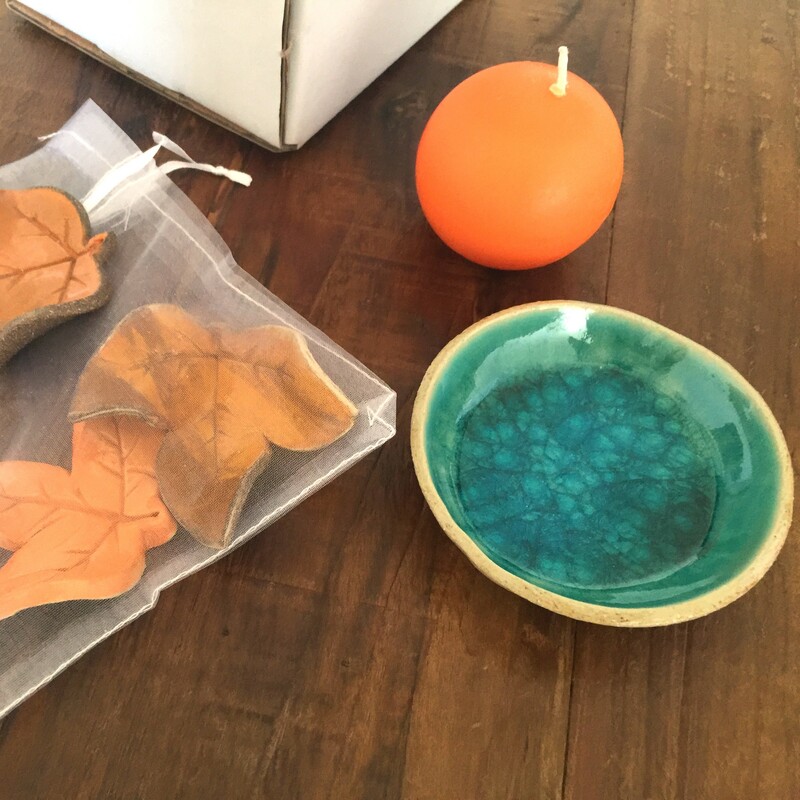 Also included is a little bag of ceramic leaves, specially made to compliment this autumn-themed combo. Limited quantities still available.